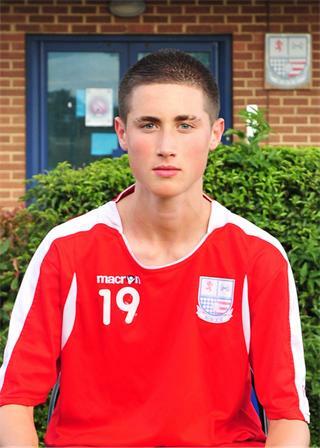 Sean was spotted as a 16 year old played for Potters Bar Town of the Ryman League and had played for Cockfosters Town youth team prior to joining the Scholars. Prior to the 2009/2010 season, he was given a trial at Nene Park and was offered a scholarship with Diamonds youth set up as a 1st year apprentice. An immensely skilful player, he could play as a forward, or an attacking midfielder and impressed on his first appearance for the First Team at Daventry United in the Hillier Senior Cup. He scored some 18 goals for the youth team before deciding to leave Diamonds, returning to Potters Bar Town in March 2010. He failed to get a regular place in their side, and after a brief trial at St.Albans City, signed a one year deal with the Conference South club on 19 October 2010 which was later extended. He remained with the Saints until 8 January 2013, making 92 appearances, before signing a 3½ year deal with Dagenham & Redbridge after a short trial with the League Two side. In May 2013, Sean was called up into the Northern Ireland Under-21 squad. Sean made 13 appearances for the Daggers in his first season, but he missed most of the following pre-season due to injury, and went on a two month loan deal back to St.Albans City on 22 August 2014 to gain some match fitness. He then moved to Ebbsfleet United in January 2015, and has now made over 100 appearances for the Kent Club.